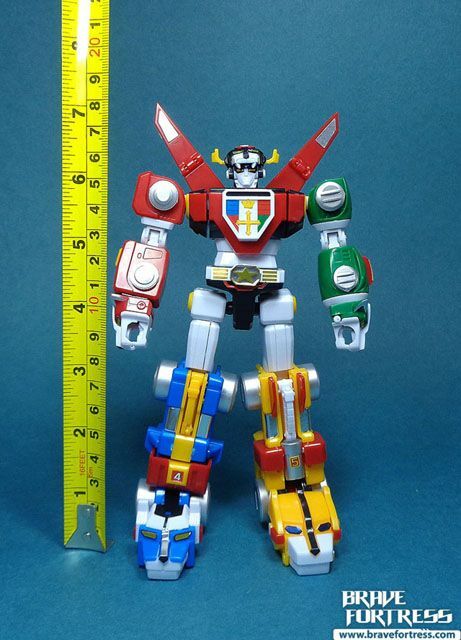 Originally released as a “Candy Toy” in Japan, just like the other various Super Mini-Pla, the Voltron was repackaged as a full set packed in one box for the USA release, whereas the original Japan version came with each Lion packed separately in smaller boxes. 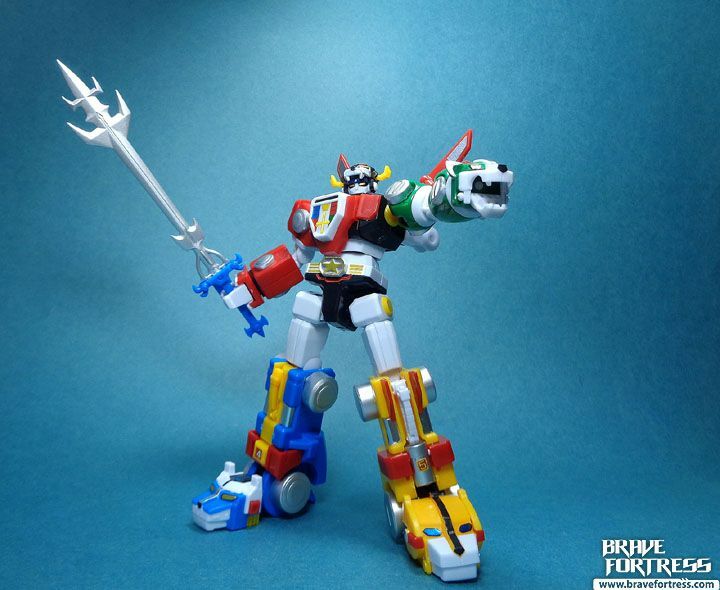 There’s also a SDCC 2018 variation of this kit, it has a different box and comes with a bonus “Form Blazing Sword” effect accessory. 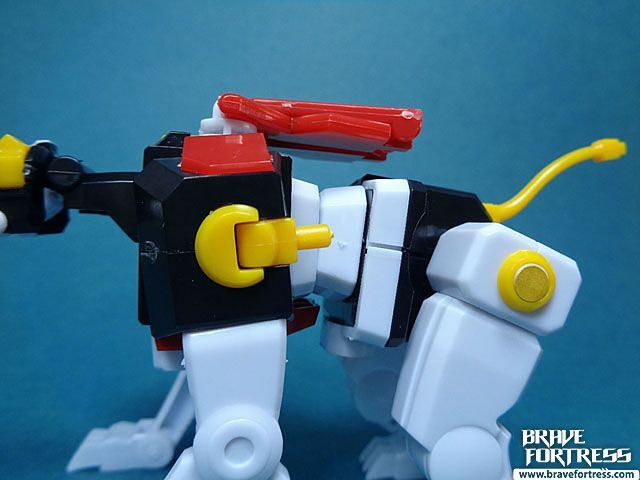 I’m not a fan of the connection plugs sticking out like this. 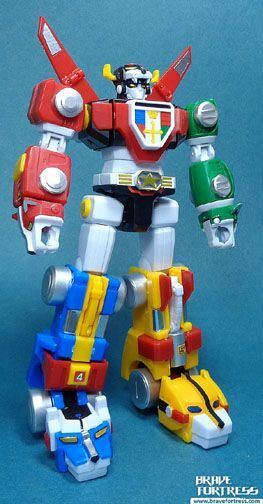 But I guess it is what it is. 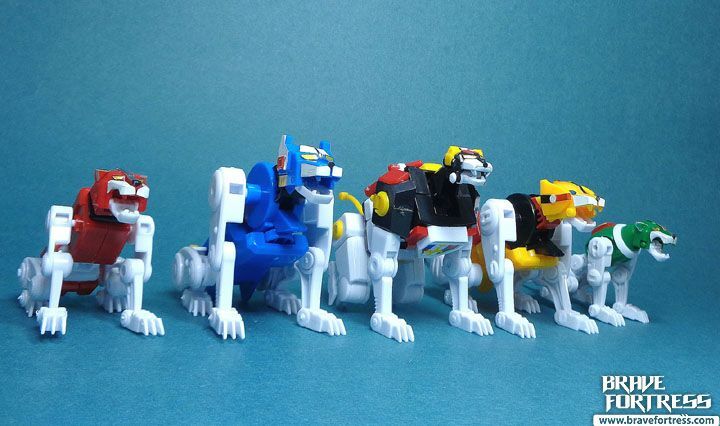 I love the fact that you can pose the lions in sitting position. 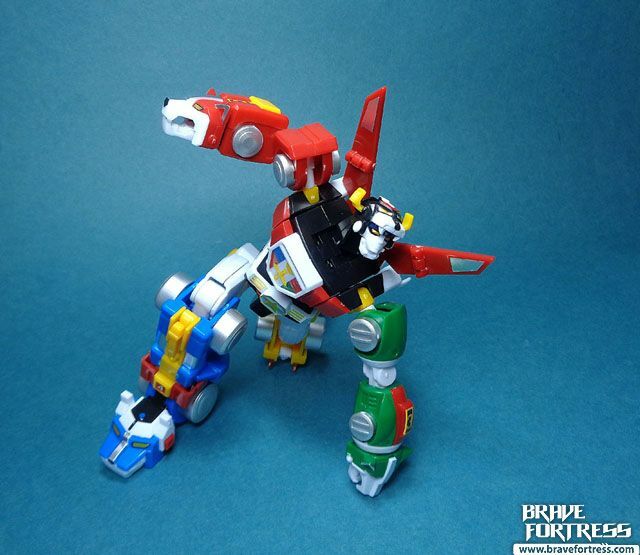 It’s not quite perfect (needs more range of motion in the torso ab crunch). 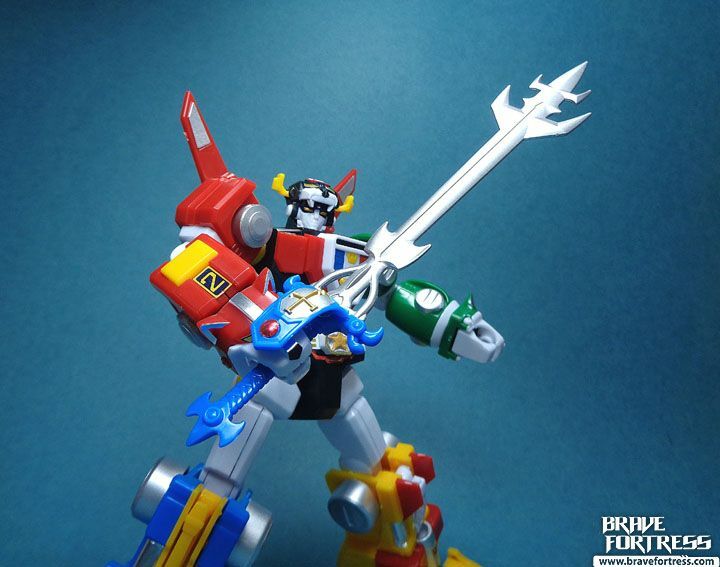 But close enough that you can somewhat recreate the pose from the closing credits of the cartoon. 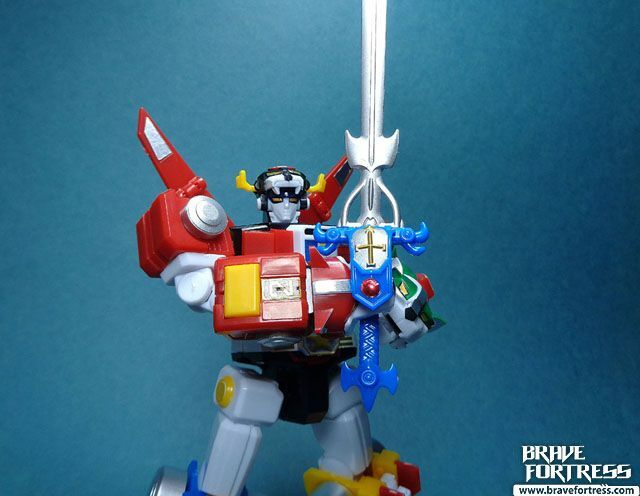 The set comes with Black Bazooka and Mouth Blade. 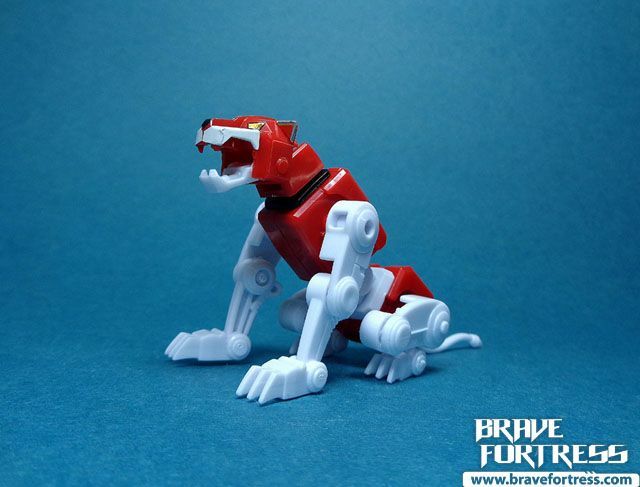 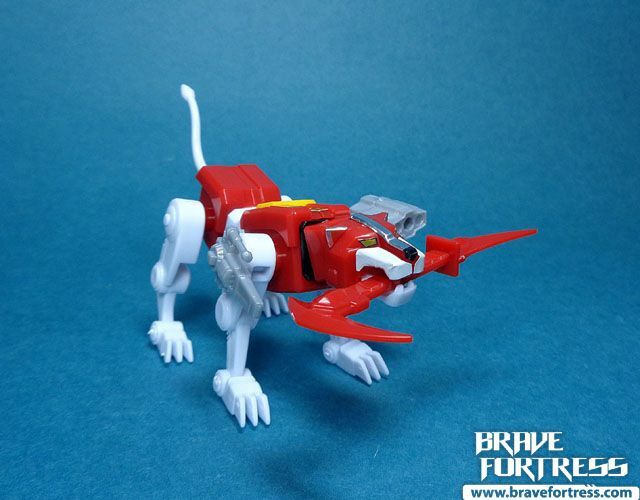 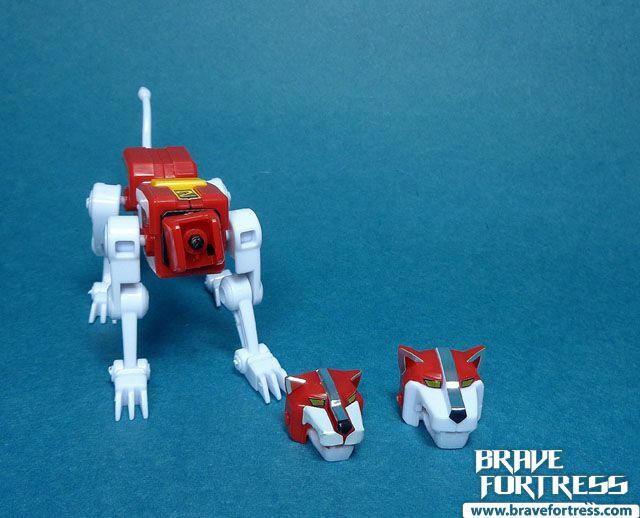 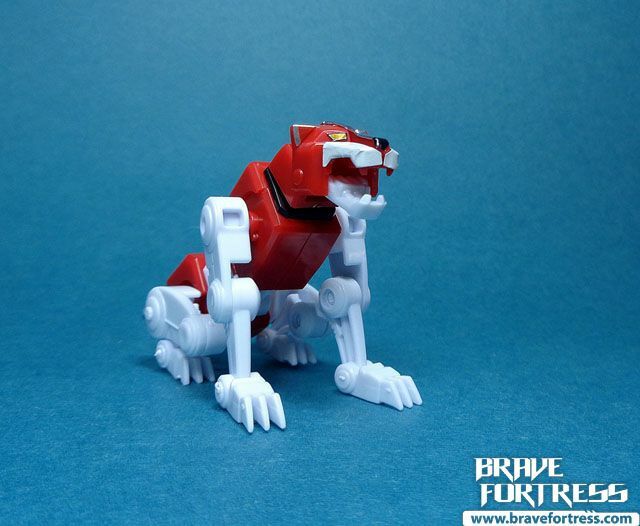 The Red Lion also comes with an alternate bigger head for better proportion in Voltron mode. 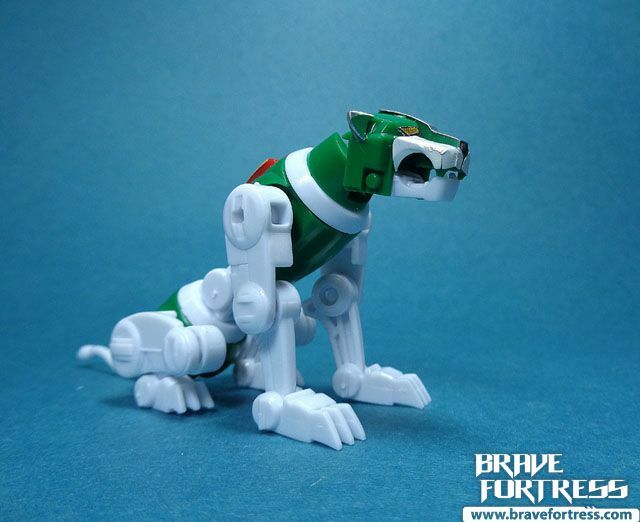 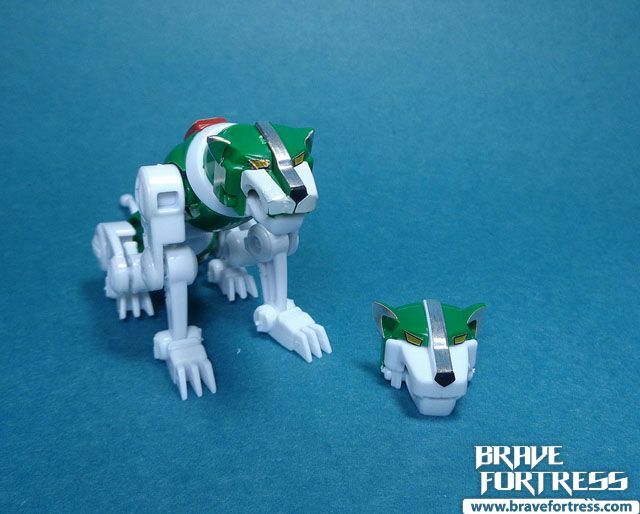 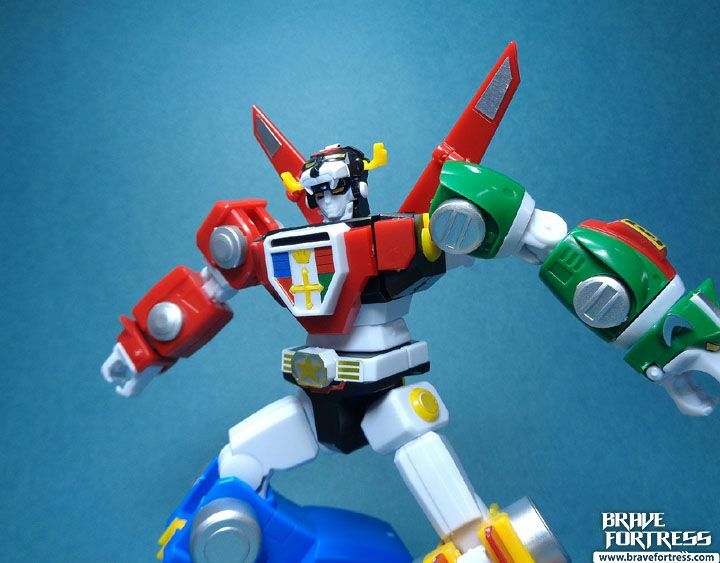 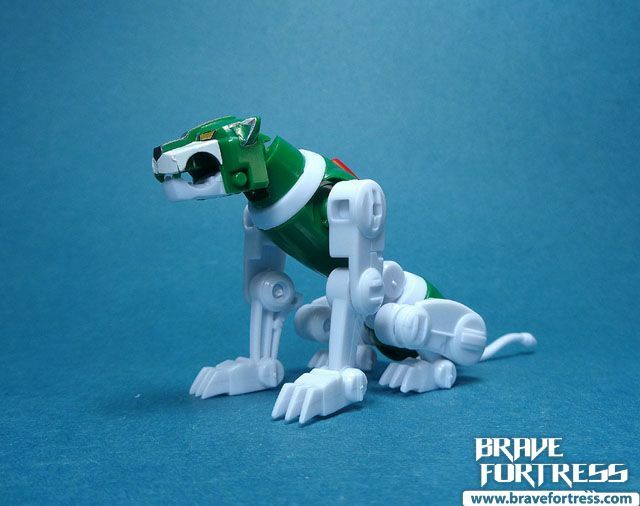 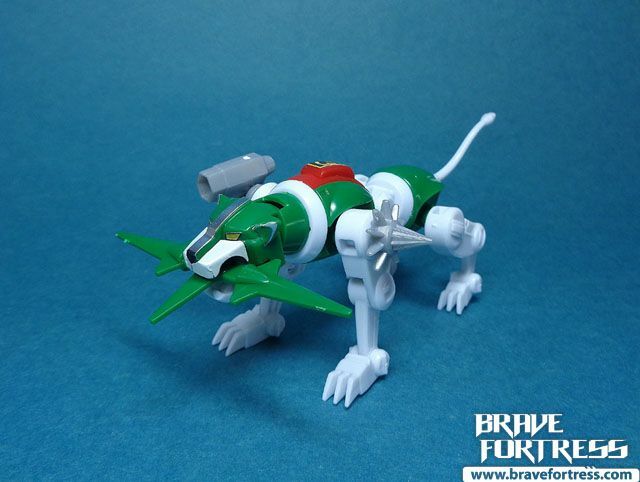 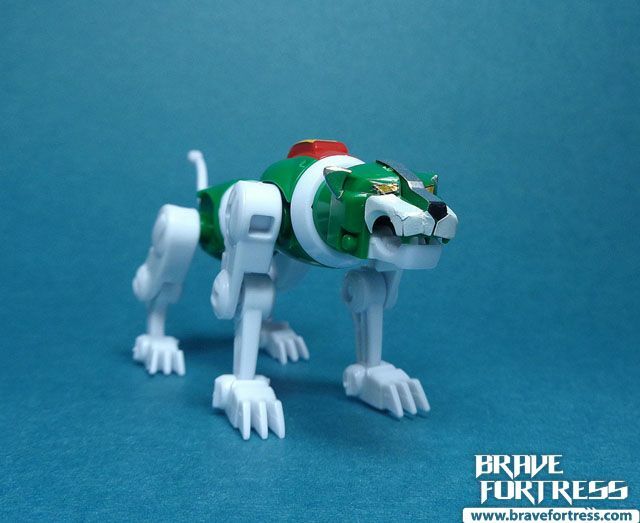 The Green Lion also comes with an alternate bigger head for better proportion in Voltron mode. 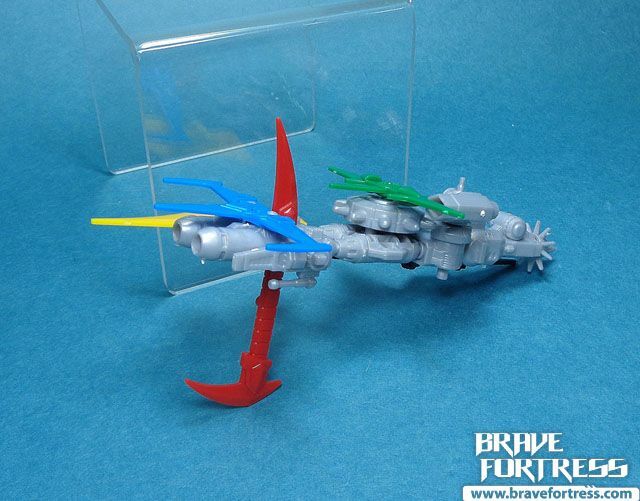 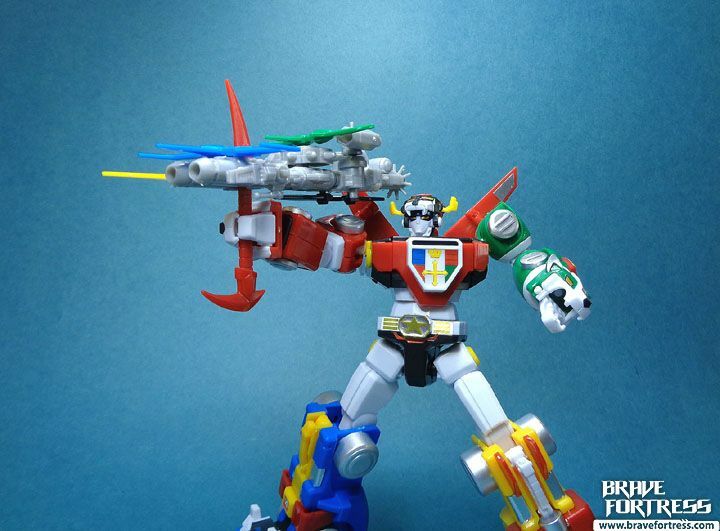 The set comes with Green Lion’s Laser Cannon/ Green Gun (R) and Shooting Star/ Green Knife (L) and Mouth Blade. 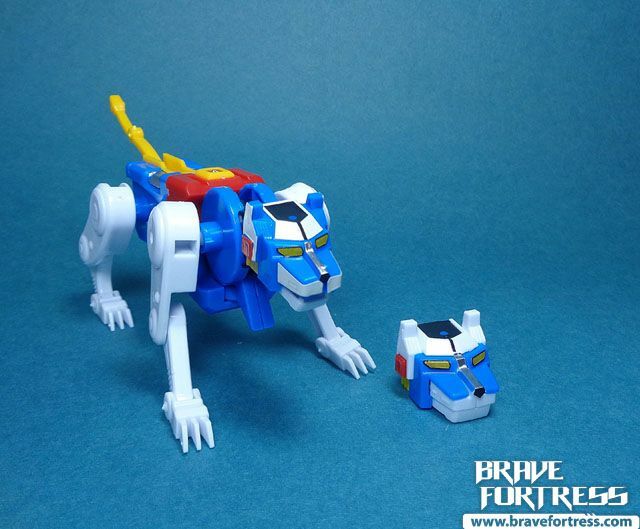 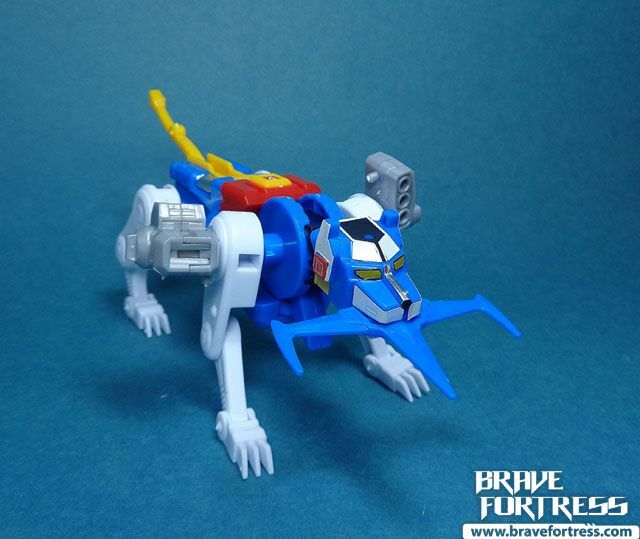 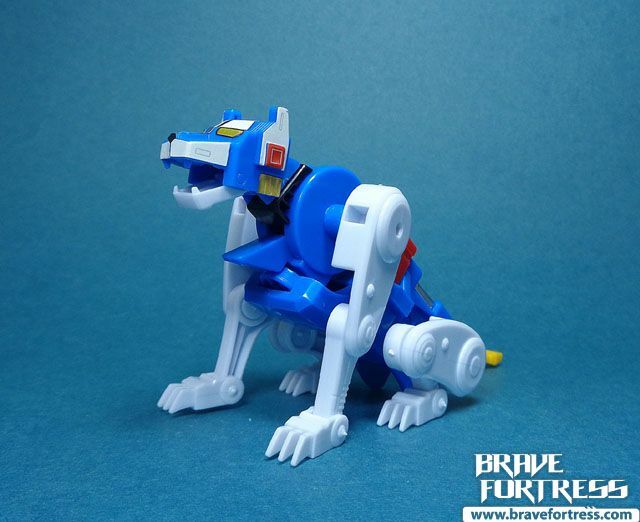 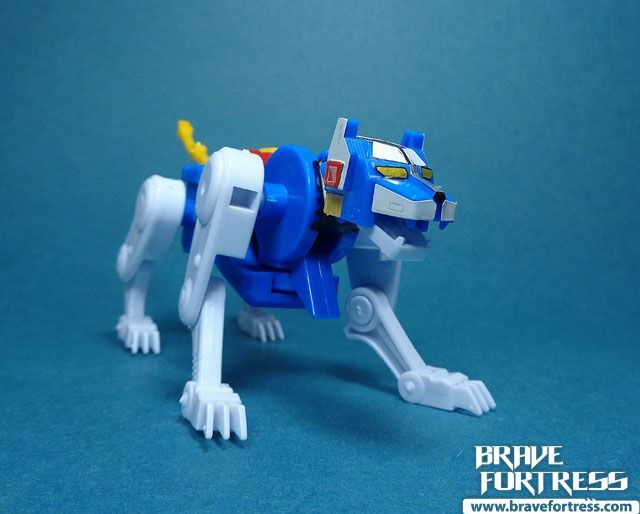 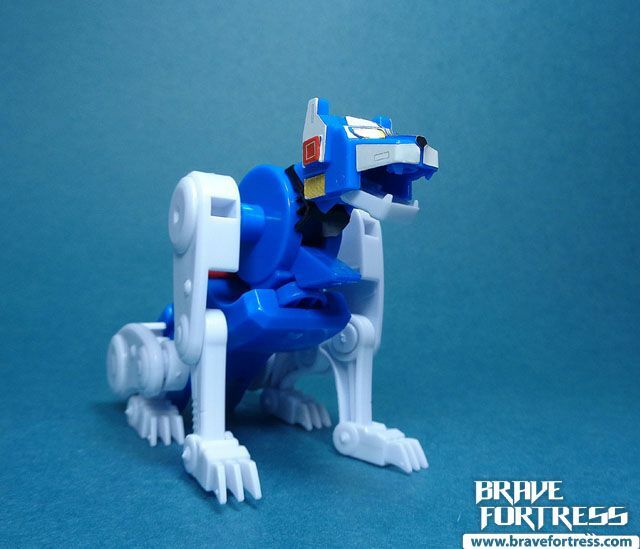 The Blue Lion also comes with an alternate bigger head for better proportion in Voltron mode. 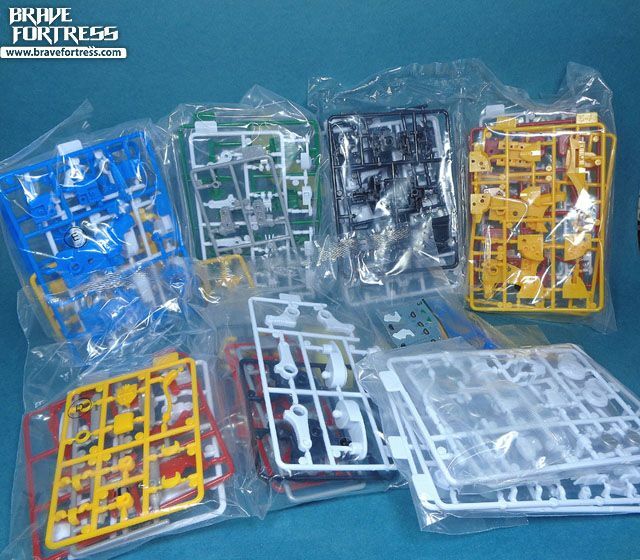 The kit comes with Marine Missile, Shoulder Cannon/ Ice Missile (R) , Triple Barrel Mortar Cannon (L) / and Mouth Blade. 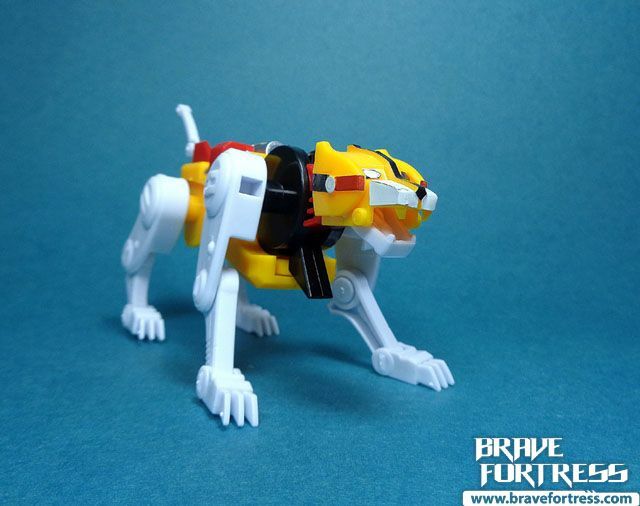 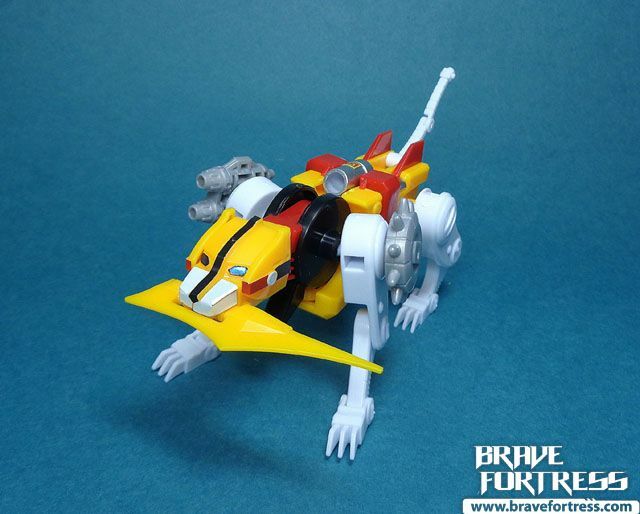 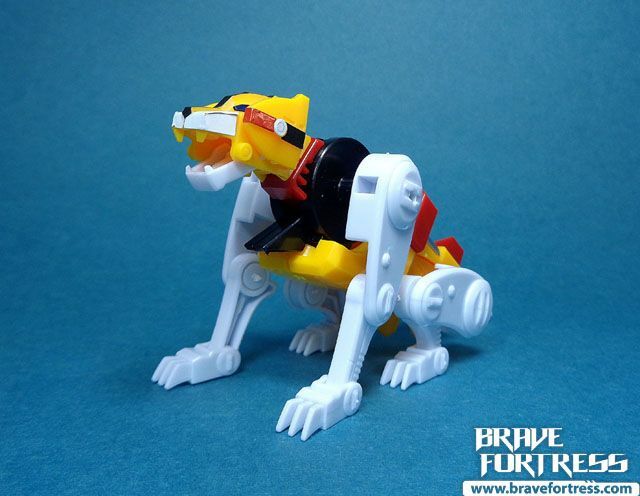 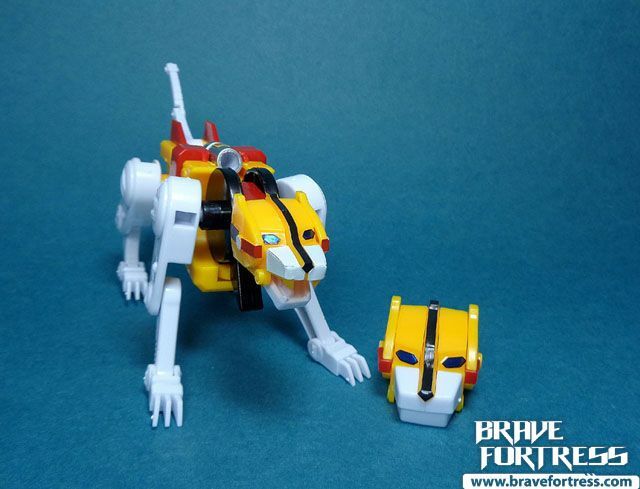 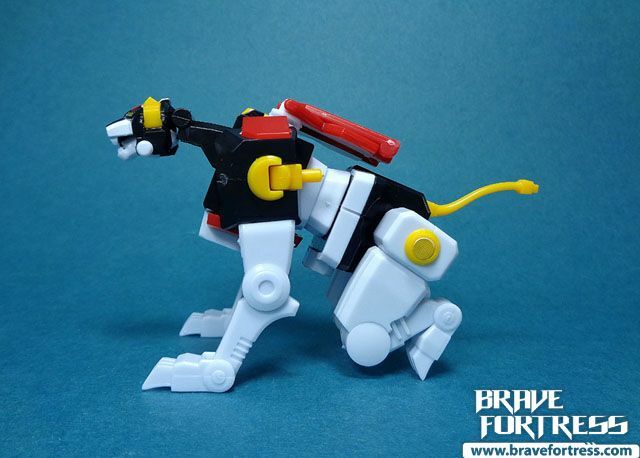 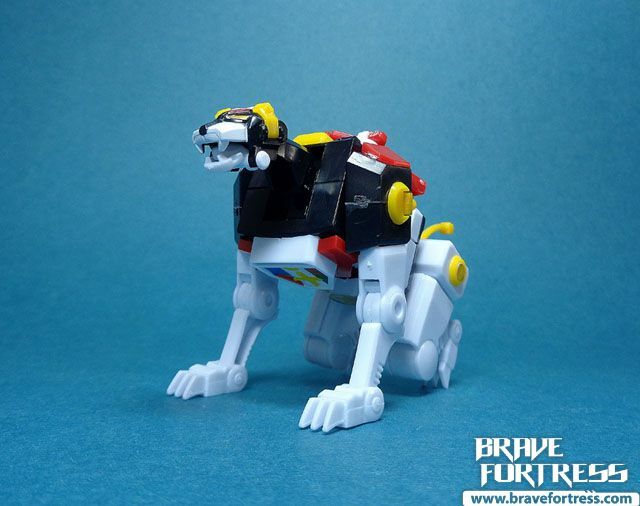 The Yellow Lion also comes with an alternate bigger head for better proportion in Voltron mode. 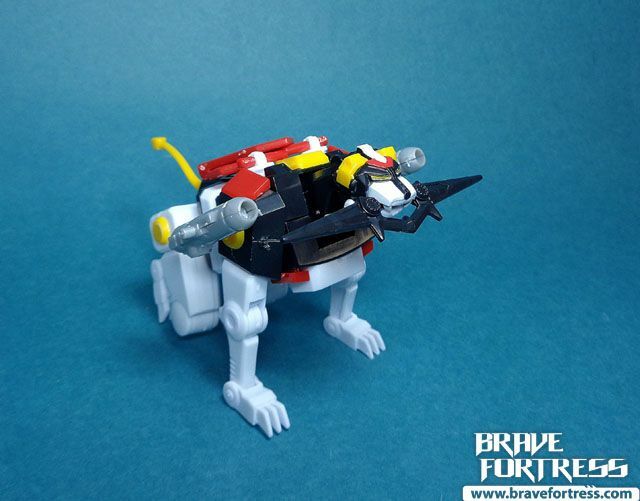 The kit comes with Dual Shoulder Blockbuster Turrets/ Sand Cannon (R) , Radial Shotgun Shoulder Blaster / Gattling Missile (L) and Mouth Blade. 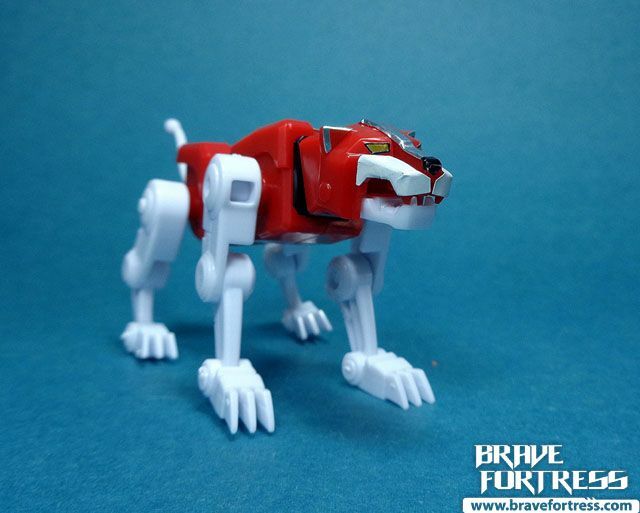 The legs of the lions are removable, They can be replaced with covers for show accuracy. 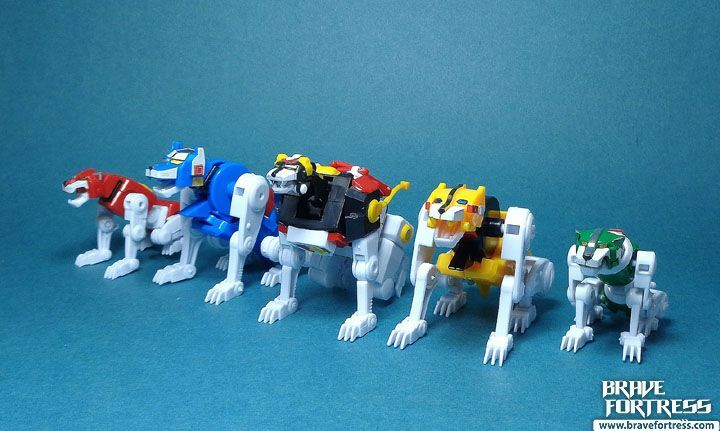 Note that the covers are specific to each lion in terms of design. 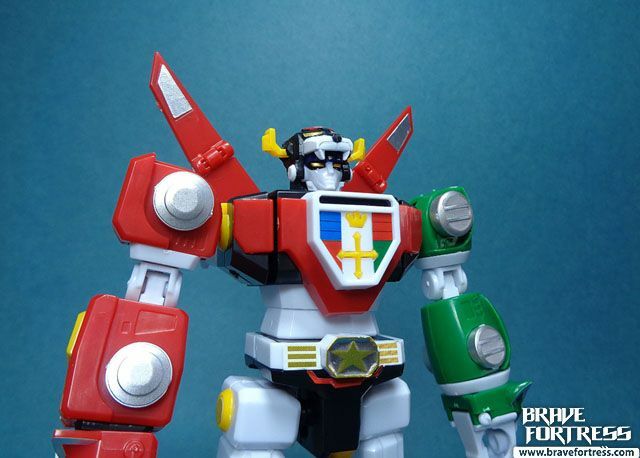 I’m really glad that the face and chest pieces for Voltron are pre-painted and didn’t require much input from me, my model kit skills are pretty pathetic. 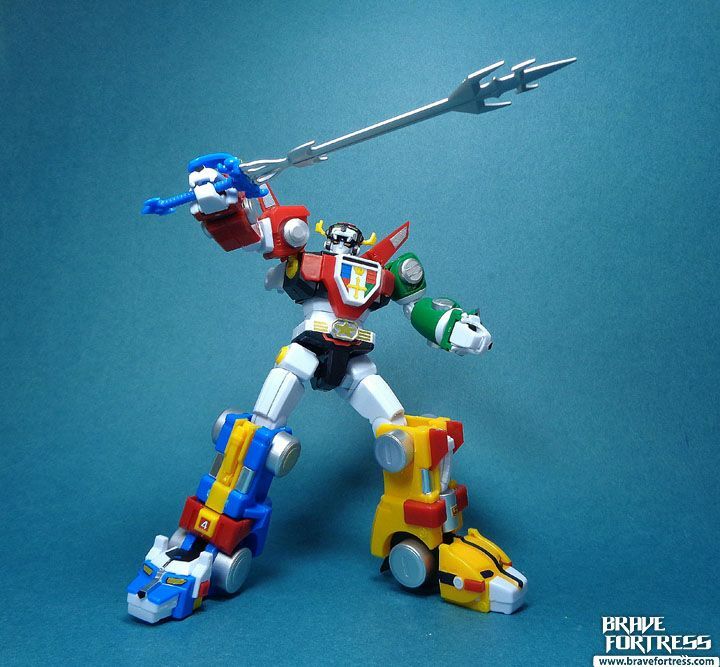 The assembled kit looks great and the figure is really highly poseable. 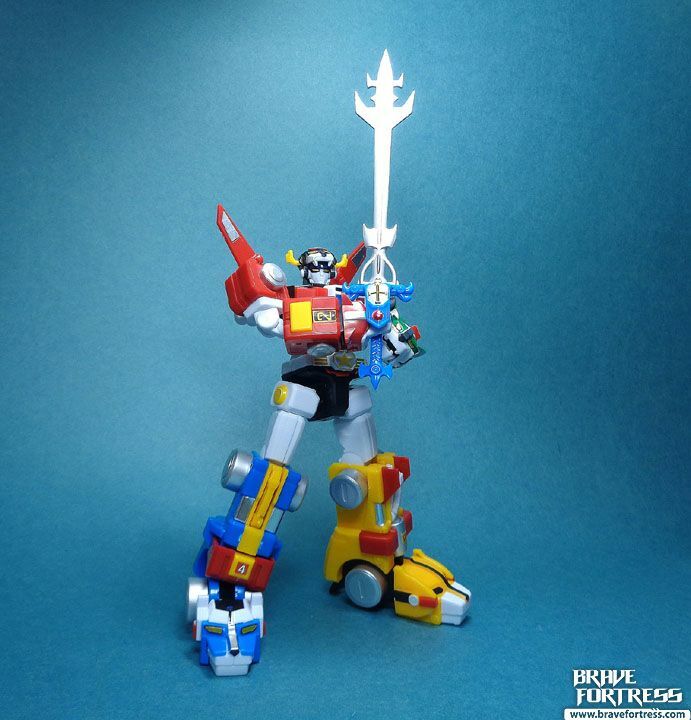 It’s quite a thrill to see it completed. 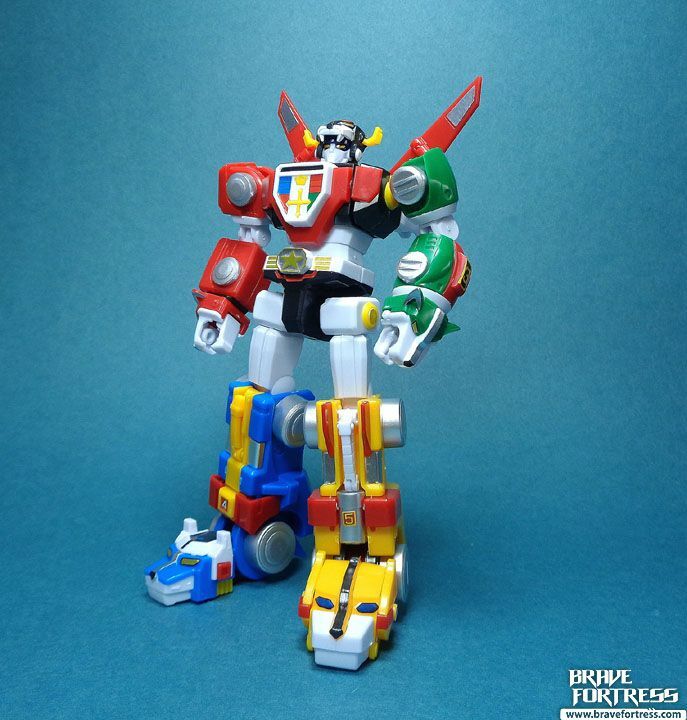 Fully assembled, Super Mini-Pla Voltron stands roughly 6.5 inches (7 inches counting the wing tips). 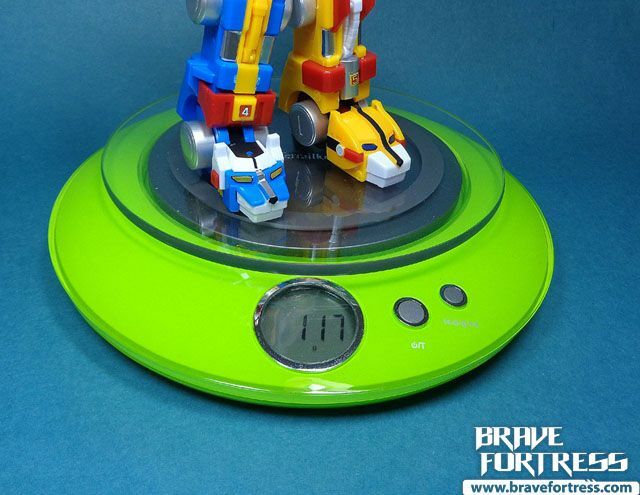 Voltron also roughly weighs 117 Grams. 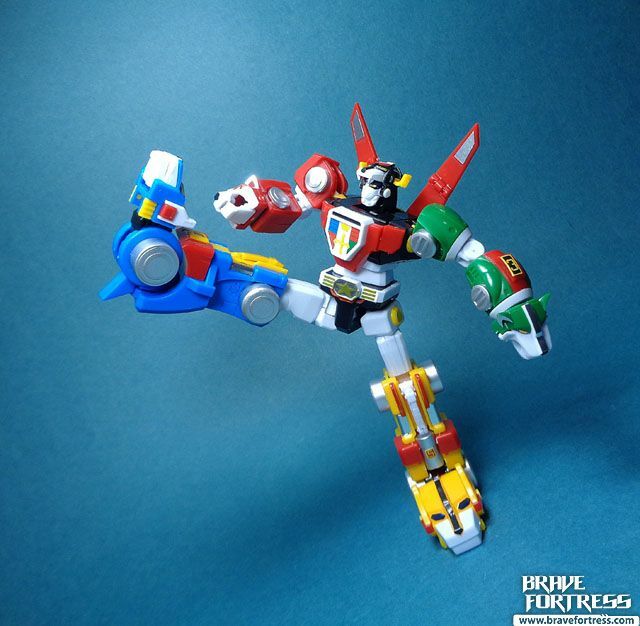 Thanks to the many, many joints of the toy, it makes it a fun figure to pose. 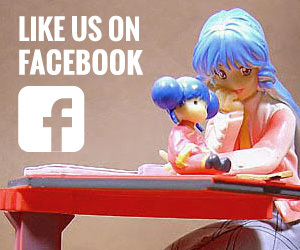 It’s really a lot of fun. 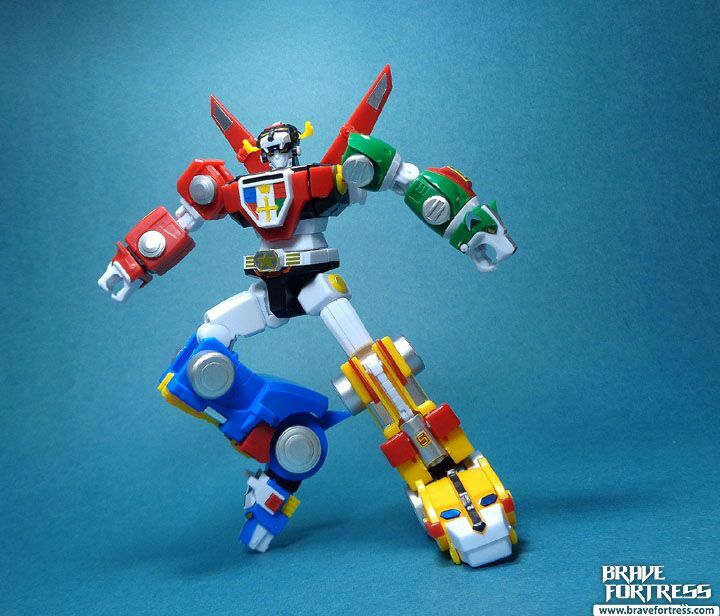 The figure is also very well balanced, you can make it stand on one leg (but requires some work to get right). 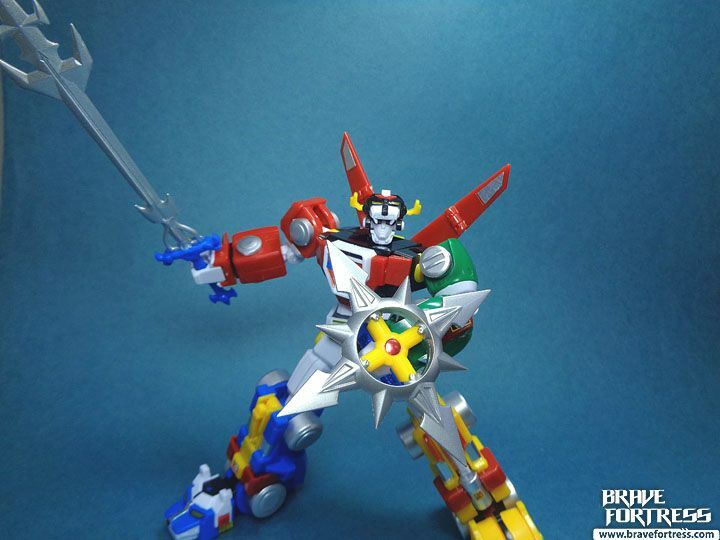 As a bonus, you can assemble all of the weapons together to form a “secret” weapon for Voltron, although this weapon never appeared in the series, it’s a nice concept. 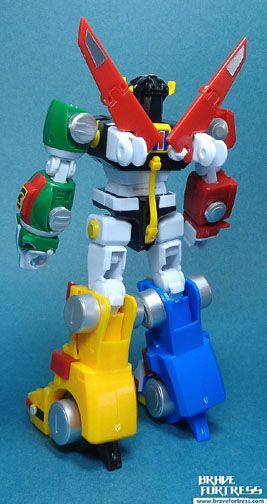 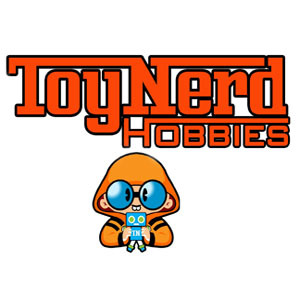 Overall, a great toy! 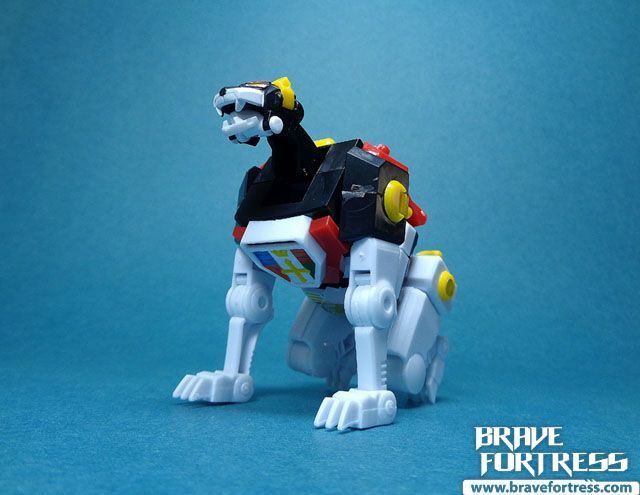 I love that we get a Voltron toy that’s super posey in both Lions and Voltron forms and is really stable. 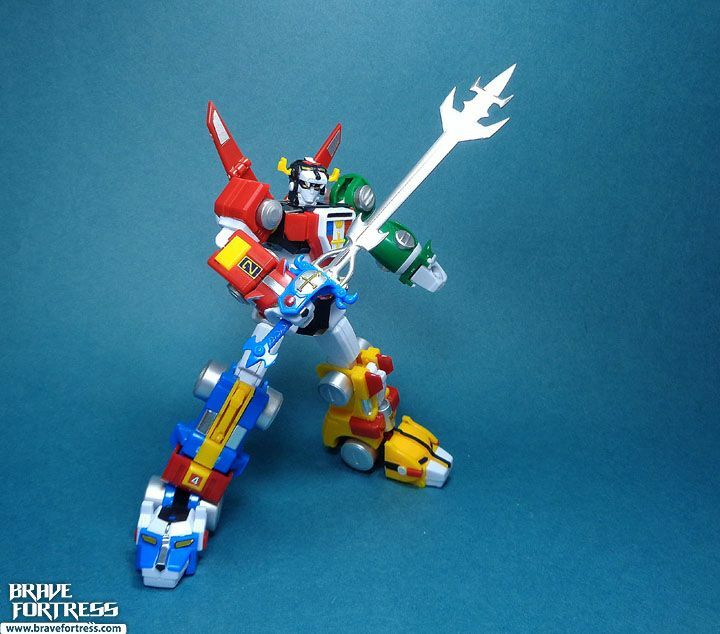 The only downside is that it requires assembly. 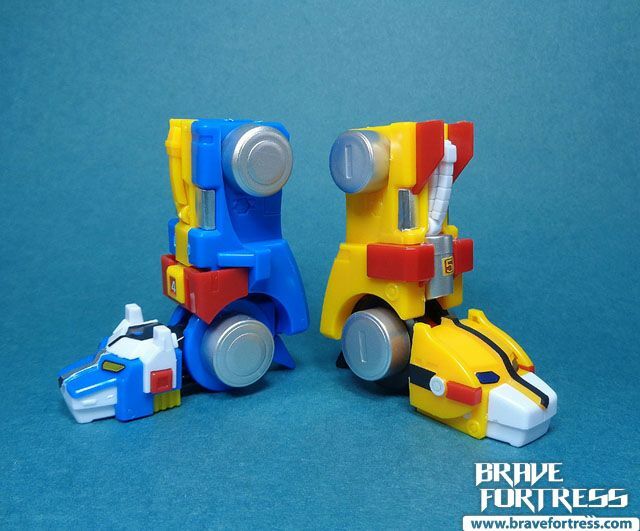 If this were released as a completed set, it would really be awesome! 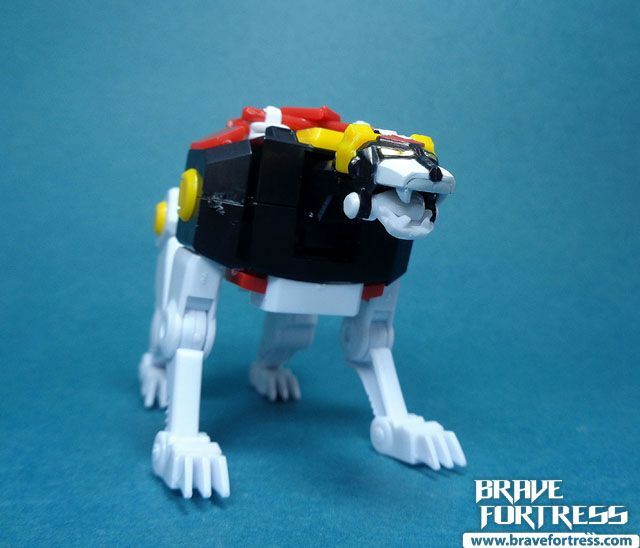 As is, I can still recommend it, but you will need to set aside time (roughly 5 hours) to build the thing (properly) first.